Mentors face many exciting challenges when advising early-stage entrepreneurs: studying a startup’s structure, figuring out the most effective ways to help a company and making time in a busy schedule are just a few things to consider. To effectively rise to those challenges, any new mentor must first work on establishing solid relationships with new entrepreneurs so that they can really learn from your invaluable experiences. You must think of yourselves as experts who bring substantial knowledge in specific industries that can help new startup owners to get their businesses off the ground. Establishing a mentorship bond allows you to not only share your secrets to success, but teach new entrepreneurs about the ins and outs of certain industries. 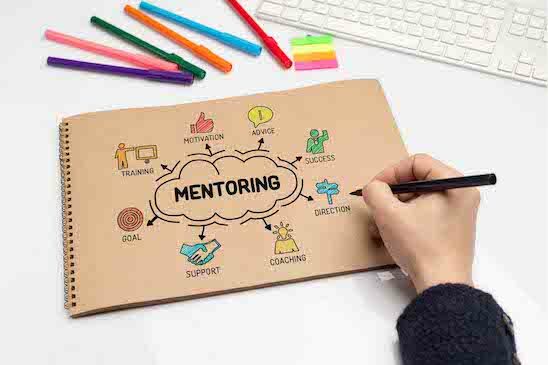 You must also know that mentorship is an established practice: an analysis by TechCrunch of New York City-based technology companies founded from 2003-13 found that 33% of top-performing companies have a founder who was mentored by a successful entrepreneur. Though you may now have years of expertise under your belt, there was once a time when you were starting out in the business world. Draw on your experience from the early days as a new entrepreneur, where you may have experimented with fresh ideas that proved ineffective. Perhaps you may have stumbled upon game-changing practices that made way for great achievements. Why not share how you turned your not-so-great losses into epic wins? Drew Houston and Arash Ferdowsi, who started the online storage provider Dropbox in 2007, shared their secret of using incentives to drive referrals for their business under the mentorship of successful Silicon Valley entrepreneurs Ali and Hadi Partovi. With talented mentors in place that steered them toward promising ideas, their company was valued at $10 billion in 2014. As a mentor, you will have to access the effectiveness of a startup’s strategy during the early stages of establishing a mentorship relationship. After sharing your business story including how you turned your fails into sales, you can then ask questions about the company’s current operations and most prominent goals. Surely, new entrepreneurs will offer a good picture of what’s going on with their company. And with getting that picture, you must offer constructive feedback. The key to giving great feedback is careful honesty: it is important to tell a startup owner what you feel is truly working for them and what is not working. This feedback will really help the new owner see things from new angles, keep effective strategies going and eliminate dead weights. You can be a great cheerleader as a mentor, rooting for the startup that is under our wing as well. With all the challenges that startups face, new entrepreneurs can use encouraging words of guidance. With one inspiring expression, you can help a fledgling team reach the sky and achieve greatness. Surely, Mark Zuckerberg must have had people cheering for his success at some point in taking Facebook to the top! If you follow these three tips as a mentor, then you will help your new mentees get off to a good start to achieving success. Mentorship is about nurturing relationships, so it takes work and time. But the payoff of helping others to turn their goals into a reality is very rewarding. If you feel mentoring is something you’d like to offer, register your profile for free on New Shifts today or browse some of the local companies that may be seeking your kind of experience to help them grow. We don’t think you’ll regret it!